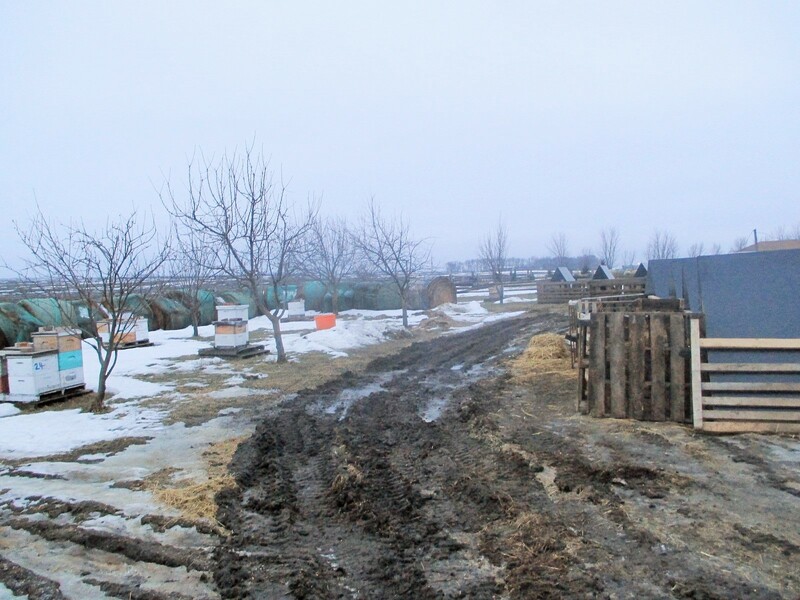 A muddy and dreary day on the farm. Our beautiful cherry tree, a casualty of harsh Minnesota winds! Still enjoying our frozen cherries. 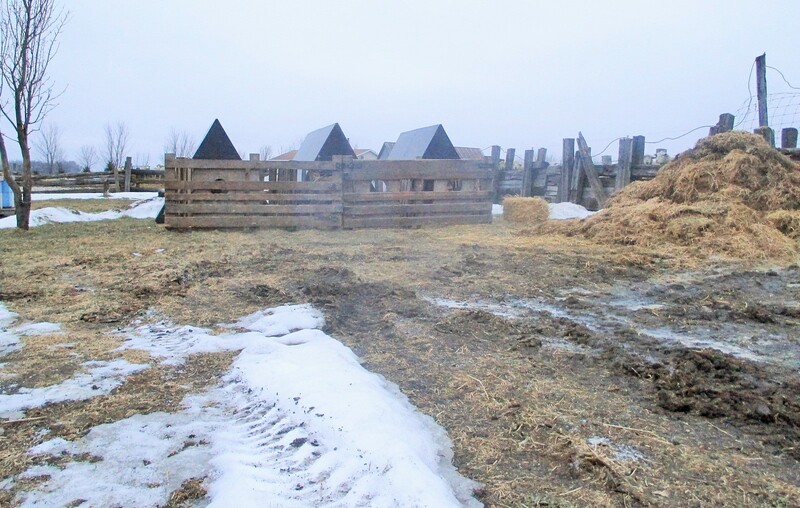 The farrowing huts are being used as calf huts for a couple of weeks. They are snug and the calves are doing great. Lonely boar missing the gilts. He tries to stay warm in the hut without the ladies! 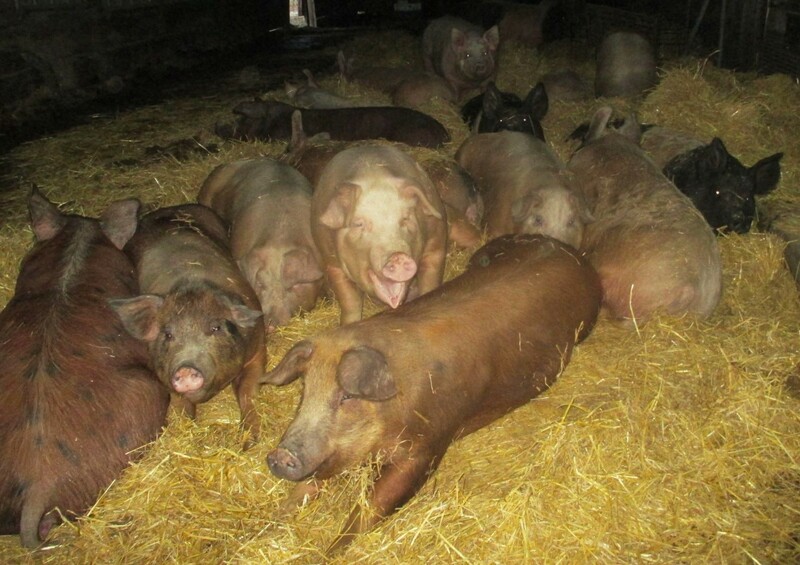 Happy bred gilts stay warm and cozy snuggled up together in a warm bed of straw. They don’t seem to care about the boars do they? 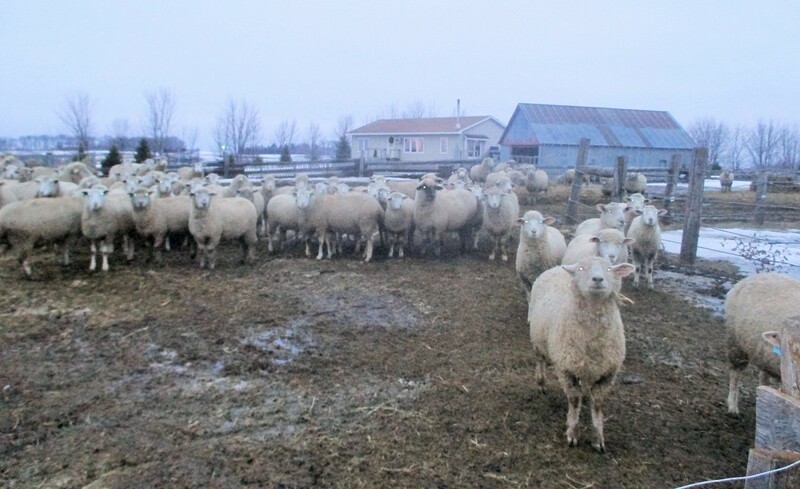 Despite the dreary weather, these 75 bred ewes and ewe lambs remain happy and with good appetite. 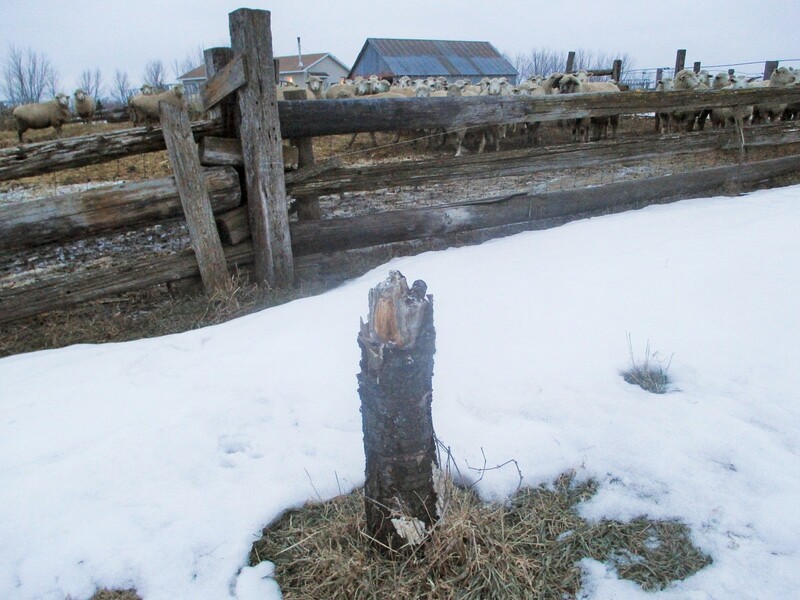 They are due to start lambing April 1. 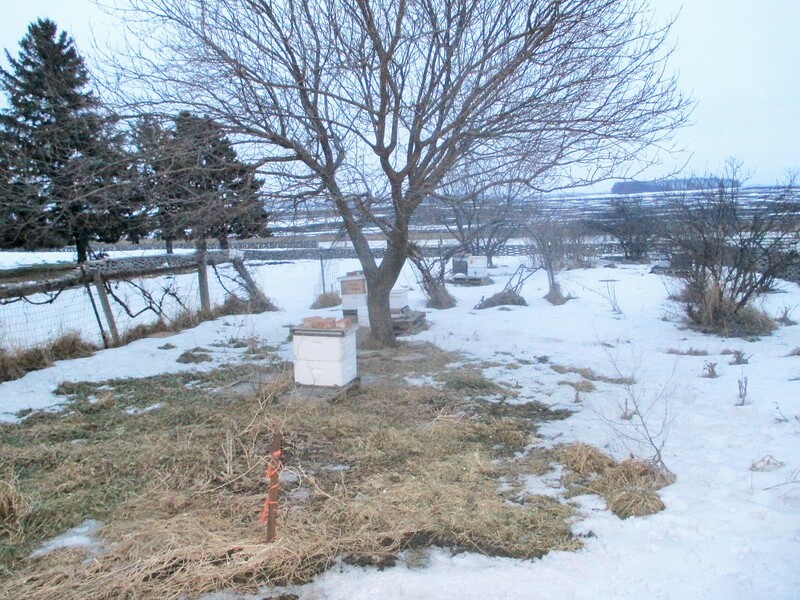 Some of the hives next to the orchard and garden during a long winter. One good and faithful dog, Rowdy! 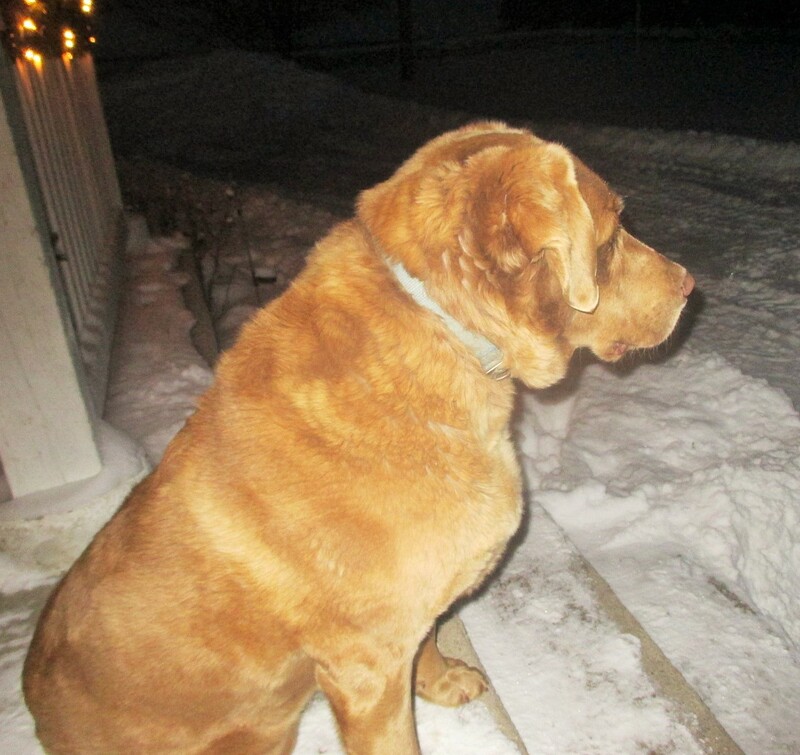 He and Chief stay up most of the night scaring away the coyotes. A good dog is a blessing! Hope I didn’t make you too cold seeing all these dreary photos! 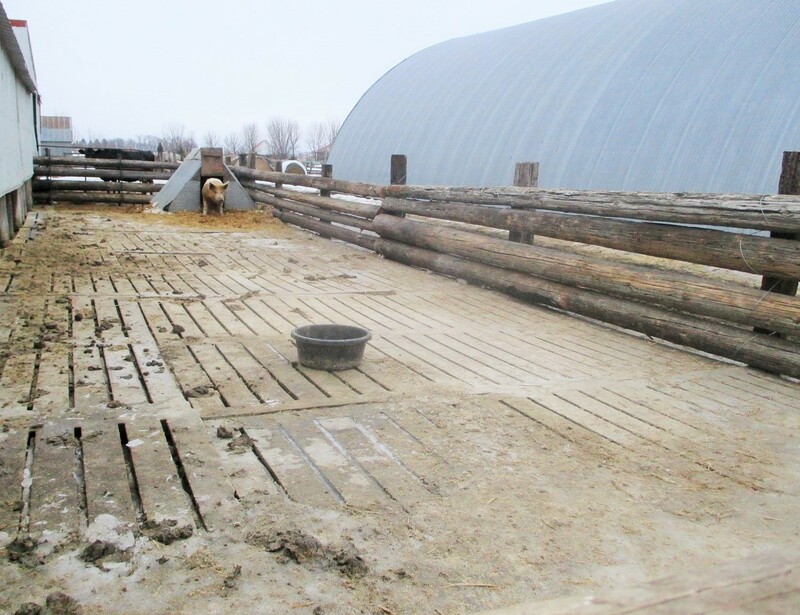 Work continues on the farm all year long no matter what the weather brings, whether lovely or awful. I think the key to making it through is coming in to a warm cozy house with plenty of hot food! Life is good in spite of the weather! 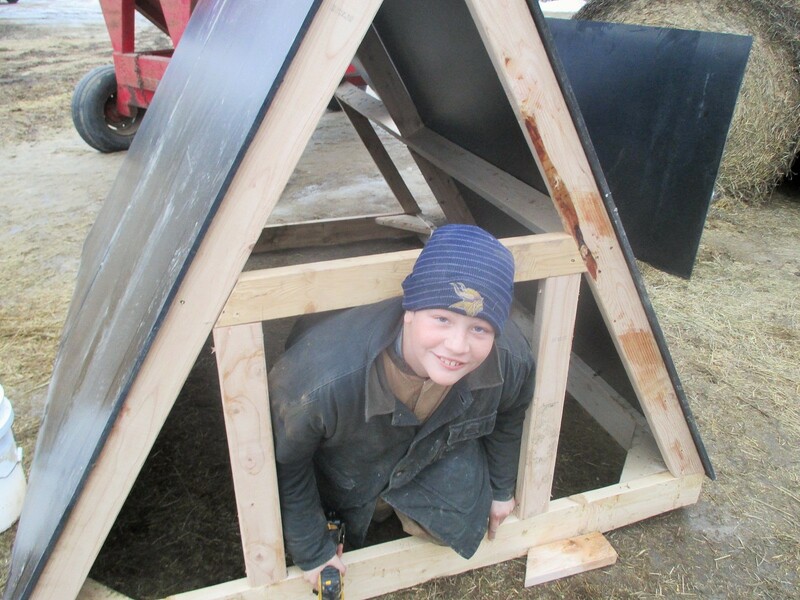 This entry was posted in LIVESTOCK and tagged A houses, Callens honey farm, Hogs, sheep. Bookmark the permalink.